If you've ever designed a kitchen, you'll be well aware how difficult and time-consuming it can be to make the sort of important decisions that could make or break the long-term success of your new room. There are so many aspects of design and construction to consider, including lighting, deciding upon a colour scheme with the use of an online kitchen planner, the physical layout of the cabinets and worktops, and of course the tricky electrical and plumbing systems that run throughout the average kitchen. However, when it comes to deciding upon the right choice of flooring for your new kitchen, how about cutting out the complex decision-making process and settling upon a surface that will keep you happy and content for the lifetime of your room: natural stone tiles. When it comes to high traffic areas in the home, the kitchen really is King. Just think about the number of times you and your family walk across the kitchen during an average day. Stone is strong enough and durable enough to deal with the knocks and spillages that tend to arise from high traffic areas such as this. If you're looking to introduce a 'country kitchen' feel to your new home, natural stone is a great choice. Since it is usually installed in an untreated state, there are usually variations in both colour and texture and this can introduce a really rustic feel to your room. Alternatively, the versatility of natural stone means that it can be ideal for those seeking a modern feel for their kitchen. By choosing a smoother surface such as slate, you can introduce a sleeker and more contemporary feel to the room. 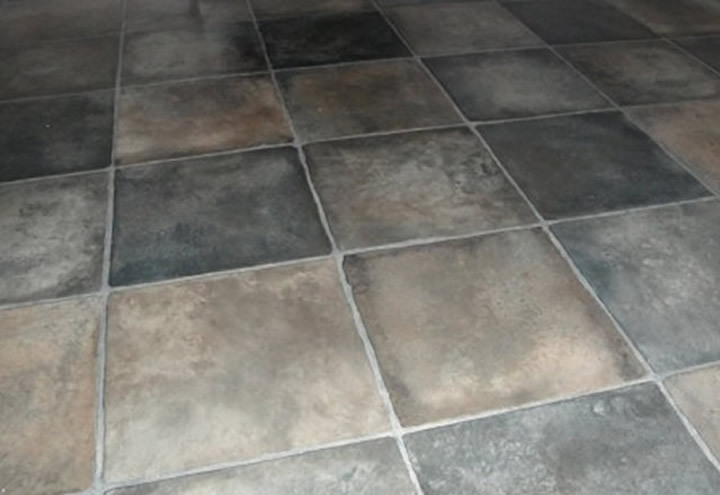 Slate is a very popular option as it doesn't stain and is available in a wide range of colours and sizes. If your kitchen leads to an outdoor patio, having the same stone flooring on both adds continuity to your house as a whole and helps to integrate the outside space with the inside spaces of your house very effectively. Whilst stone can be relatively expensive, it will last a lifetime, unlike cheaper options such as linoleum. You will need to ensure that you treat your floor every five years or so but this doesn't take long and will make the surface quick and easy to clean on a day-to-day basis.